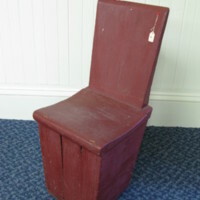 An original chair from the "Brick School" on Summer St. The building is still standing but has undergone changes. The Town of Stow on March 3, 1766 voted to build three school houses in the outlying districts and there is no doubt that this building was one of them for the record of the school committee chosen December 17, 1789 for the "Northeast Corner" district were Luke Brooks(1), John Marble and Capt. Sargent, all residents of the district. It was afterwards called District No.5 and so designated until the Town of Maynard was incorporated. The school lot is said to have been given by Mr. Randall. The old "Brick School" was closed in 1872, having worthily served its purpose for over 100 years, many of our honored citizens receiving all the schooling they ever had within its walls. Among its pupils were numbered - Ezekiel Brown, his son George; Mrs. Joel Abbot, her son Charles; Georgia Smith Brown; Thomas Brooks, son of Luke; Mrs. J.W. Reed; Artemas and John Whitney; George and Charles Maynard; Lorenzo and William Maynard; and their children; Thomas Hillis, the Fowlers, Bents, Parmenters and many others. Also, William H. Gutteridge, who in 1921 authored and published "A Brief History of the Town of Maynard". 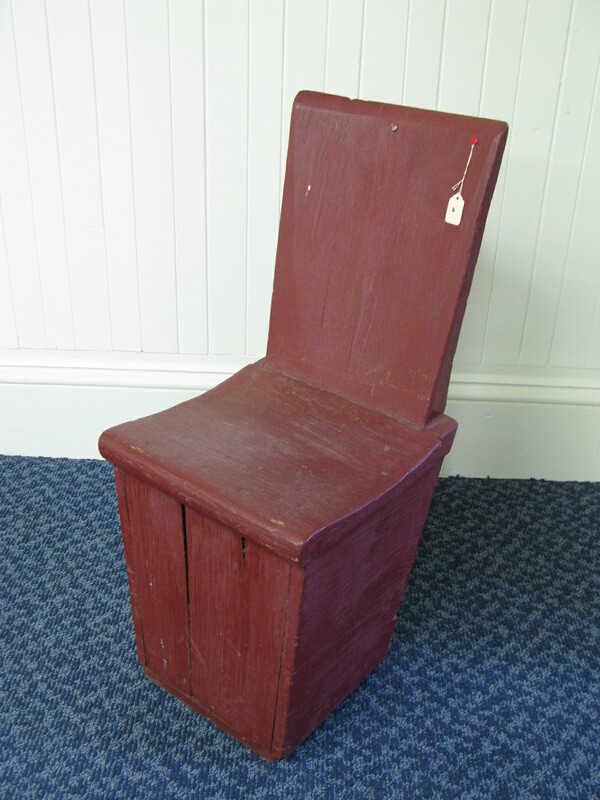 “School Chair #1,” Maynard Historical Society Archives, accessed April 24, 2019, http://collection.maynardhistory.org/items/show/9.